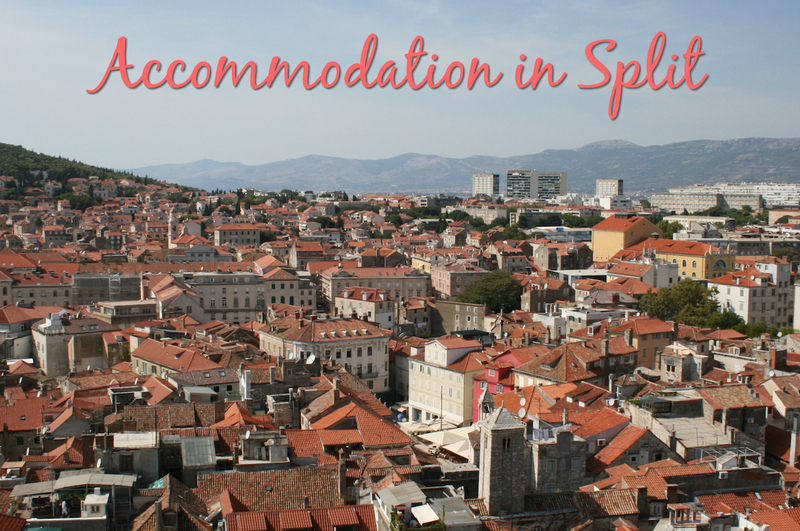 For the city’s many visitors, accommodation in Split is certainly plentiful! There’s something for all budgets and tastes, right from five star luxury to budget hostel accommodation. There’s also plenty of private apartments and rooms for rent too. Split is the second largest city in Croatia, and the largest on the Adriatic Coast. There are direct scheduled and charter flights from London and elsewhere in Europe – see our Getting to Split section for more details. There are also good connections from Zagreb by air, bus and train. Split is also a good base or starting point if travelling to islands such as Brac or Hvar. Note that some of the accommodation below may be listed as being in Podstrana or Solin. Podstrana is 10km south of Split (along the coast), whilst Solin is 7km inland from Split. Both are a short drive away from Split, and both can also be easily reached by public transport (bus). If you fancy being right in the heart of the city, you can’t beat staying somewhere in or close to the Diocletian’s Palace area. As well as containing most of Split’s most famous sights, this pedestrianised area has plenty of cafes, restaurants, bars and shops. At its southern point, you have the pretty Riva which is the harbourside promenade. You’re also only a short walk away from the main bus station, the train station, and the port in Split. But it’s easy to get around in Split, whether using local buses or simply walking. So even something a little further out of this area (and therefore cheaper) is no bad thing. To properly be out of the city, consider accommodation in Podstrana or in the Kastela region. Again, it’s easy to get into Split by bus. Click on the different tabs to see hotels for each star rating.